A love letter For Valentines like you have never seen before! Show your valentine how much they mean to you…. 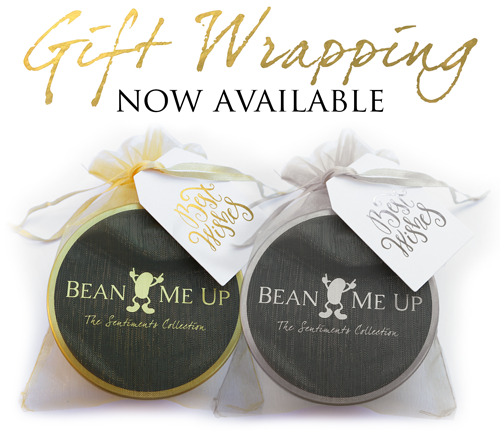 The magic of Bean Me Up grows and grows… Just like your love! Our gorgeous new ecoPots offer a stylish way to grow and display your magic beans with a beautiful red finish! Posted to you flat, these pots are made from super strong washable paper and are flexible and reusable. Select either the Valentine’s or Love tin for a gorgeous unique gift. Our tins (inclusive of soil) fit perfectly into the base of the pot. Inside this little jar, is a very special gift. Some magical beans, to help give you a lift! You can plant these special beans and watch their magic grow. They’re a reminder of life’s beauty, something to nourish. So plant them when ready, and watch them flourish! A love letter like you have never seen before! Plant the beans and messages of love will appear as the beans grow. The Valentines Collection is the perfect gift to add some extra romance to your relationship. A love letter like you have never seen before! Plant the beans and messages of love will appear as the beans grow. The Love Collection is the perfect gift to add some extra romance to your relationship. Beans are double sided with image and word on each bean.